Four 10” squares. Firm, flexible, sew-in, non-woven support for small to medium crafts. Soft enough to turn project right sides out. 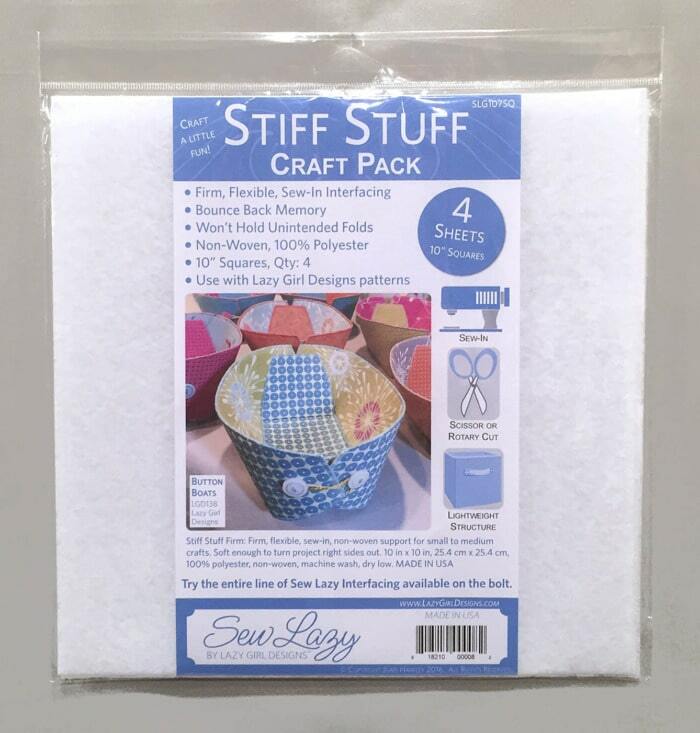 Perfect to add a little structure to your next craft project without added bulk or weight. 10 in x 10 in, 25.4 cm x 25.4 cm, 100% polyester, non-woven, machine wash, dry low. Made in USA. Use with Lazy Girl Designs patterns LGD138, LGD139, LGD140, LGD141, LGD142. Size: 10 in x 10 in. – Cut and use as needed in your project. – Baste the layers together in the seam allowance prior to construction to hold layers together if preferred.